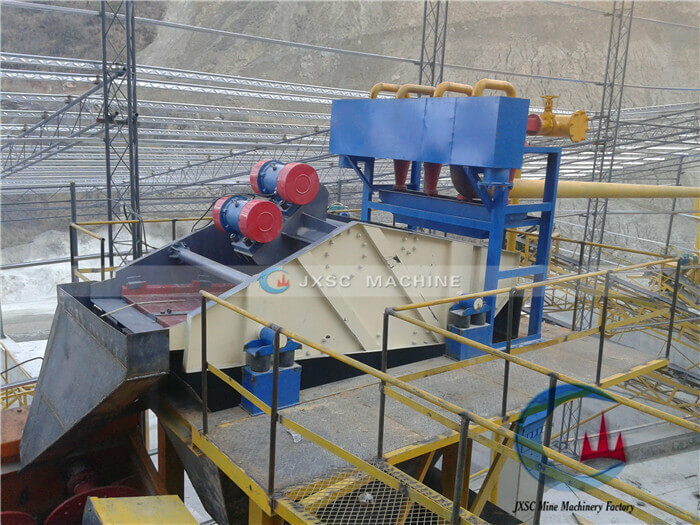 GP tailings dewatering screen is also a kind of vibrating screen mainly for the dewatering of the mine tailings, it concentrates the tailing slurry first and then dewaters treated materials on the vibrating dewatering screen, where more than 85% water contained is removed. For its strong expertise of the design and manufacture, LZZG hires experts in designing and manufacturing it for two years. High efficiency, strong vibrating force and large capacity. 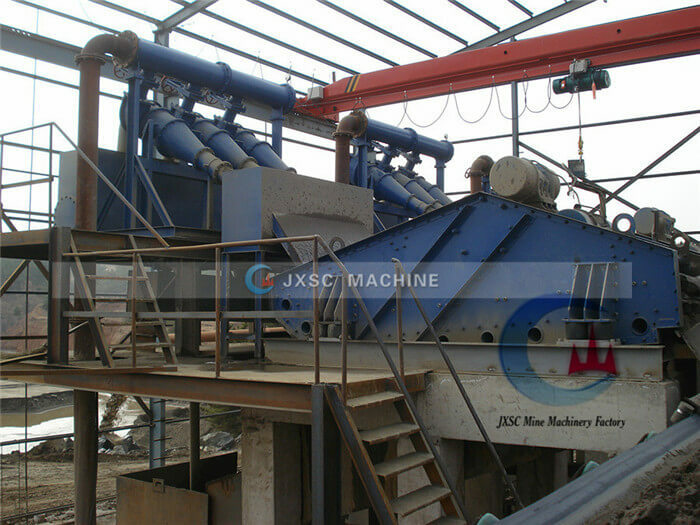 Simple structure and easy operation and maintenance. 45° angle install increases the dewatering area. Vibrating frequency is adjustable to meet different ores. Torsional shear type high strength bolts are used between side plates and beam, no welding gap that avoids side plates cracking during vibrating. Polyurethane screen with better elasticity and fewer blocks. The PU side-push plates protect the equipment from the rushing material and guard the long life of the whole device. 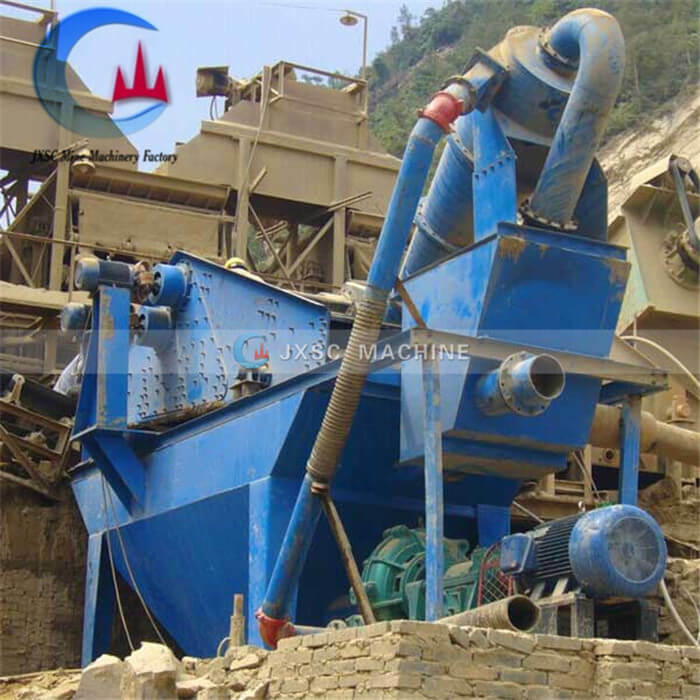 GP series mine tailing screen is driven by two vibrating motors, which makes the screen sieve move to-and-fro online to achieve the filtering purpose. 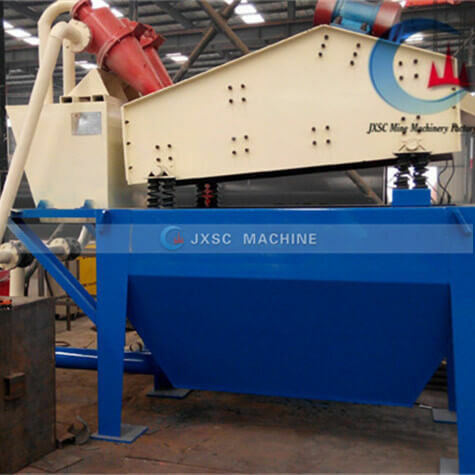 With the vibration of the screen, the concentrated tailings materials are continuously thrown up and down on the screen, the materials are loosened and crashed to the sieve, the small size materials are filtered away from the sieve holes. Finally, it reaches the aim of classifying, dehydrating and desliming.